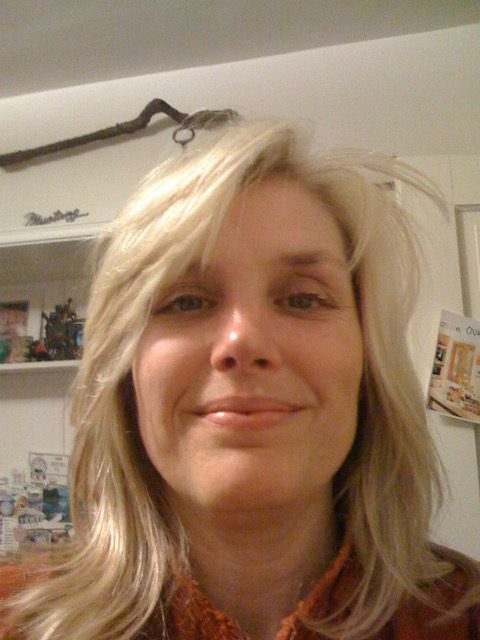 Chantel Zimmerman is a Right-Brain Business Plan® licensed facilitator based in Los Angeles. She’s the April guest host of our RBBP Facebook group so make sure to stop by and get some support and encouragement from her. I’m a Transformative Arts and Healing Specialist offering workshops, retreats, trainings, and private sessions. 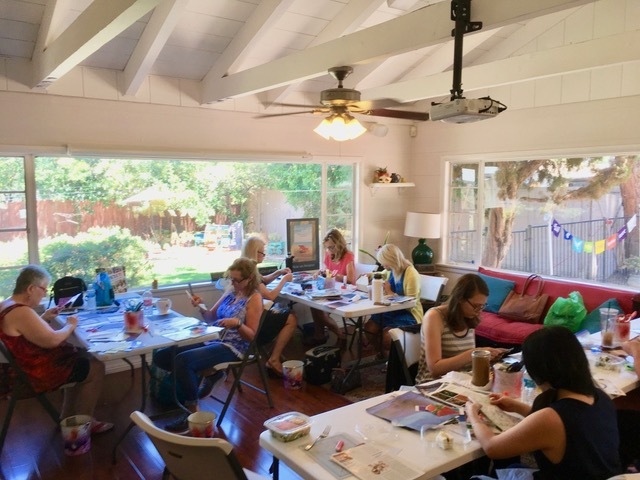 Through my company, Art and Soul Lab, I inspire people to transform their lives, their businesses, and the world using creative, mindful, and spiritual tools. These tools include The Right-Brain Business Plan, The Artist’s Way, SoulCollage®, Reiki, and Labyrinth Walking. I support individuals on their quest to build their business, increase their creativity, and tap into their inner wisdom, by deepening their connection to “Self” and “Source”. To transform the world I offer train-the-trainer sessions in SoulCollage® (24 CE’s), Reiki, and Labyrinth Facilitation. What makes my business unique is my recognition that we have the answers we need inside, and the tools I use enable people to access those answers. Participants not only thrive but excel in a holistic manner, with me serving as their creative midwife. The Right-Brain Business Plan has helped me by enabling me to apply my creativity and intuition to setting my business goals, resulting in more expanded, outside-of-the-box thinking. By allowing myself to get out of my critical, analytical thinking mind and embrace my creative, spiritual side I find answers that reflect my values and my desire to be of service. Using the creative side of my brain means that more in-depth, innovative ideas and usually unexpected trajectories emerge. I believe in empowering people to aid and support themselves. To that end, my biggest goal was to become a trainer of trainers. I have done that in three areas of my work – SoulCollage®, Labyrinth Facilitation, and Reiki. 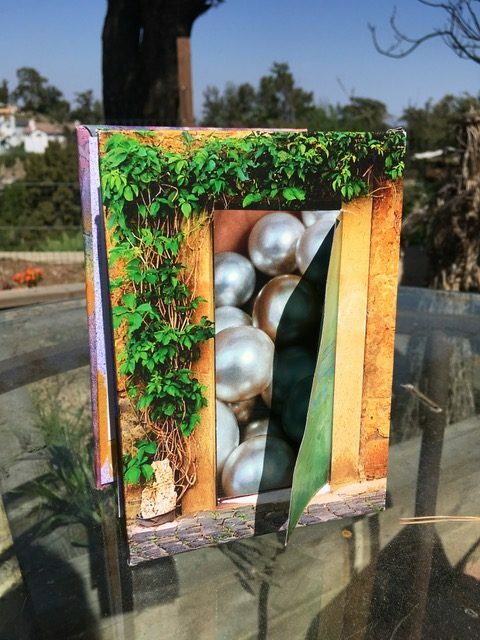 I now train people as SoulCollage® Facilitators, Labyrinth Facilitators, and Reiki Masters. In addition to satisfying my desire to help people help themselves, being able to train facilitators also fulfills a goal of wanting to make the world a better place. By training others to help people recognize and engage their inner wisdom I’m enacting my “ripple effect”; I’m spreading my knowledge beyond my clients and on to the clients of my clients. It’s tremendously satisfying! 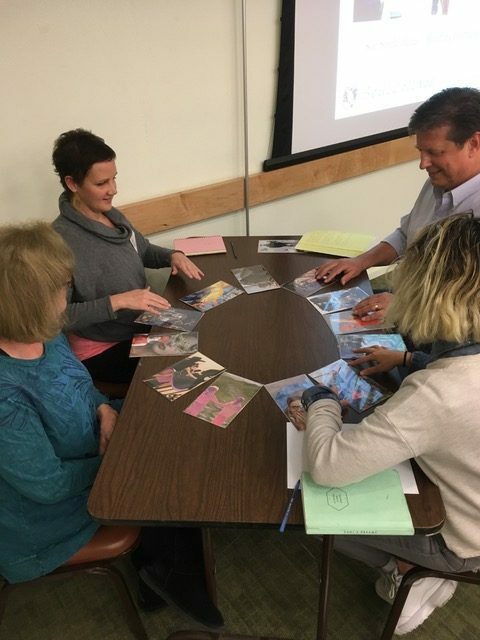 I love teaching the Right-Brain Business Plan because participants have “aha” moments that are generated internally by accessing their own creative wisdom. Using the RBBP, participants identify core dreams and recognize unexpected opportunities. They are inspired by the breadth and depth of their “knowing”. The Right-Brain Business Plan allows people to tap into more than just a business plan, it enables them to see their innate talents and qualities in new and meaningful ways, which in turns expands their sense of what’s possible with their business. I’ve made my Right-Brain Business Plan in a few different ways. For a long time, I would create collages that were a lot like a vision board, and I would add values cards and a moola map to these collages. In 2019 I did something different. 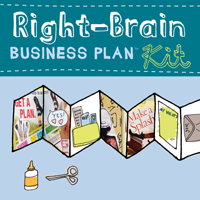 I made my Right-Brain Business Plan from the Right-Brain Business Plan Kit. I love the accordion-style, flip board and playful nature of the Kit. I keep my plan on my desk where I can see it every day and be inspired. My plan also fits perfectly in my purse, so I’m able to carry it with me when I go to networking meetings and events. 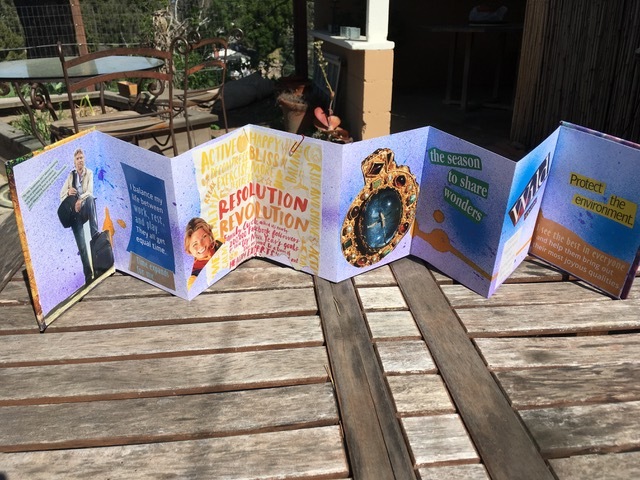 It gives me a great tool to share with other Creatives who are building their business; ultimately, when I share with these folks they see how they too could create a plan using their passion, expression, and spirituality. My big vision is to inspire positive change individually and collectively and invite people to take actions that improve their lives and the world around them. My mission is to help folks experience their own inner “aha’s” and give them the tools to keep doing this. Jump in! Take risks! Try it! If at first you don’t succeed, try again. Trust yourself and your intuitive knowing, you are wiser than you think. Plan! Remember plans are dynamic, don’t get stuck and bang your head against the wall, do something different than you expected if that’s necessary. Be like water.